Hello Everyone! I am here today with a blog post that highlights some of my favorite cards from this year (2016). For most of these, I can even tell you who I sent it to. This first card was sent to my sweet friend, Amanda who endured 20 months of Chemo and 4 surgeries (her final one was yesterday) so she could battle Breast Cancer. She has been so valiant in those efforts! In 2015, my husband and I traveled the entire southeast portion of the United States and that included stopping in Charlotte, NC to see Amanda. It's an experience that did and continues to touch my heart. This card is made with supplies that are primarily from Papertrey Ink (Cover Plate Twist) with the exception of the leaves which are a My Favorite Things die. This card was sent to Amanda as well although at a later time. She told me she actually fell asleep with this card the day she got it and when she woke, it was under her pillow. It was a simple card, but it turned out so well. I love the little Chickadee and this one from WPLUS9's Clear Day Stamp Set is a favorite. I don't want to send the same style of card to the same person over and over, so part of what I do is dreaming up something new and different. The thing about handmade cards is that each one is different, even when you are using the exact same supplies. For the next card, I was experimenting with my Kuretake Zig Gansai Tambi Watercolors and Finetec Metallic Gold Watercolors to make this gorgeous watercolored card for one of my sisters-in-law. This is another WPLUS9 Stamp set called Lucky Stars. The next card in my line-up features my favorite flowering tree, the Dogwood. This is a wood block stamp from Impression Obsession that I have had for a number of years (10+). This was the first time I had used it. I love the Legend of the Dogwood and how it relates to Christianity. I confess, I haven't yet mailed this card to anyone. I didn't finish it until after Easter so it is waiting for Easter 2017 to be sent out. 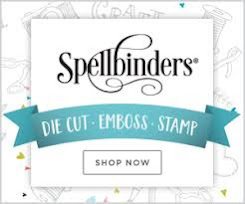 The die cut "Easter" is from Simon Says Stamp. Next up is a card I created using Altenew's Persian Motifs Stamp Set and Graceful Greetings from Papertrey Ink. Since I started making cards, I have learned that I have several favorite colors besides pink; aqua, teal, sugarplum, coral, etc. I also love heat embossing and gold embossing powder. My favorite gold embossing powder is Simon Says Stamp Antique Gold Embossing Powder. I painted this using Nicholson's Peerless Watercolors with some Perfect Pearls Pigment Powder in the water. My next card features another Altenew Stamp Set called Beautiful Day. There are Beautiful Day Coordinating Dies for this set which I also used. In addition I used the love die from the Hero Arts Love Stamp and Cut. My daughter loved this card, so I sent it to her. Next in the lineup is a card I sent to a Canadian friend and uses the Papertrey Ink Hands of Time Stamp Set with WOW! Metallic Gold Sparkle Embossing Powder; another favorite! I love ink blending and I used that technique for this card. The Awesome Die is from Waffle Flower Crafts and the little hearts are from a Simon Says Stamp Die called Mini Hearts Set. This next card uses Papertrey Ink's Tulip Time Stamp Set and Tulip Time Coordinating Dies. This card was made for my friend Yana and I wanted to send her something that she wouldn't make herself. It uses a "go to formula" that Yana shared on her blog along with papers from Papertrey Ink (Berry Sorbet) and even a paper called Sea Glass that is from Creative Memories. Creative Memories papers aren't normally suitable for card making, but since this is only a mat layer, it was fine. 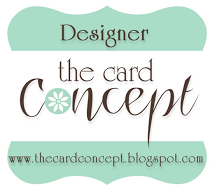 Yana does a lot of how to videos on her blog and I wanted to thank her for sharing her knowledge and expertise with all of us card makers and crafters. As you can see, I love these Tulips and I used them many times over the course of the year. I'm looking forward to using them again in 2017. Another 2016 favorite is the Altenew Beautiful Day Stamp and Coordinating Die Set. I used it for every kind of card but my favorite was to wish someone a really nice day or a Thinking of You type card. It is always so nice to get a card in the mail from a friend who lets you know they are thinking of you, especially for no particular reason. The "Perfect" Die is another from Waffle Flower Crafts. Even though I used the same basic supplies, each card has a different look. I love it when I can mix and match supplies from all different manufacturers to create the perfect card for the person I am sending it to. These are just a few of my favorite floral cards from 2016. There are many others. Beautiful Day and Tulip Time were my most used stamp sets in 2016 for good reason. They are incredibly beautiful and the coordinating dies make them just that much more stunning on your finished project. I'd love to hear about your favorites from the year. I barely made it into Spring with this post so I'm thinking next year I need to break my favorites into about 3 posts during the last week of the year. Some of the Christmas cards I made were also among my favorites for the year, but I've been sick this week, so I never got to it. 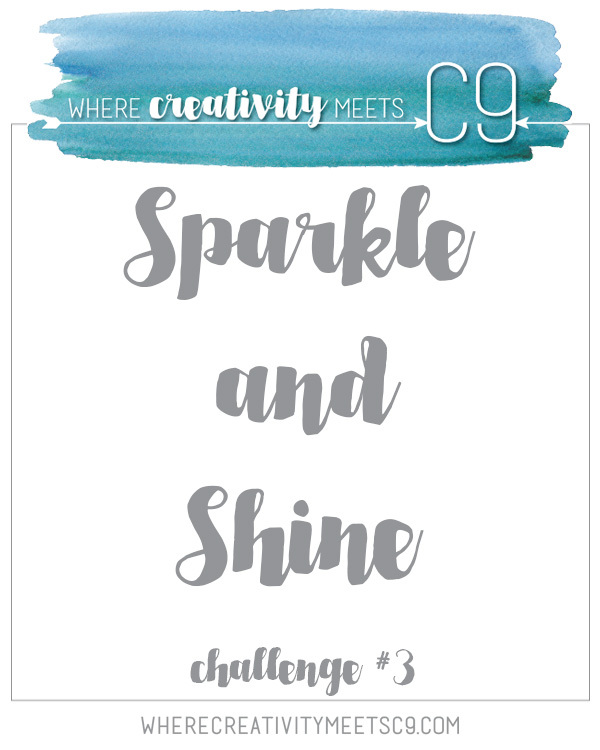 I have several fun projects coming up this month as I am the Designer in the Spotlight for the Simon Says Wednesday Challenge every Wednesday in January. I hope you'll stop by to see my project each week. I'm wishing you all the happiest possible New Year in 2017! Stay safe and make sure you carve out some crafty time int he new year as well. Hello everyone! I hope each of you had a wonderful holiday. As 2016 comes to a close, I'm spending a bit of time revisiting some older techniques. 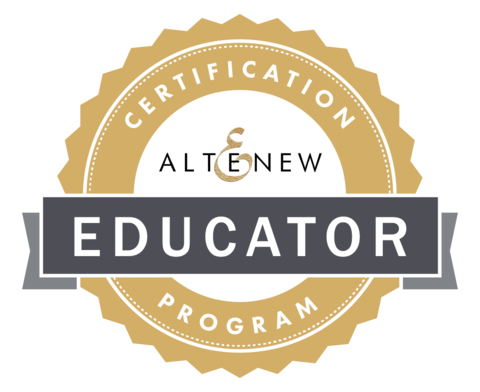 The one I'm using to play along on the Simon Says Stamp Wednesday Challenge this week is from an Altenew Academy Class. If you've been coming to my blog for a while, you know that I am a huge fan of Marika Rahtu's! There's a link to her blog in my sidebar if you don't want to follow the link just now. I really miss seeing her around but she is very busy these days since she's returned to work after a few years off to be a stay-at-home-mom to her girls. This past June, I took an online class at Altenew Academy called "Beautiful Details" which was taught by Marika. I loved the class but at the time I took it, I didn't really have a suitable stamp for "Lesson One: Artistic Flowers", so I am just now going back to it. One of the benefits of taking online classes is that you can go back and revisit any lesson at any time. Marika has a way of looking at stamps and seeing something entirely different than what most people do, so I tried to look at my stamps in that same way to see what I had that could be used for this technique. This is Marika's gorgeous card made with a single stamp from the Painted Roses Stamp Set. I don't have this set, so I looked around at all my stamp sets to see what I had that was similar in size and shape. Marika (and I) created all the different colors by coloring onto our stamp and using 2-3 generations of stamping to create the various levels of color. I only have a couple of colors of Tombow Markers (1 black and 1 brown) so I used two different inks for my second card; Lilac Grace and Winter Wisteria. The first card base is made from Pale Peony Cardstock and the 2nd from Lilac Grace Cardstock. I'm still wanting to try this method with Zig Clean Color Real Brush Pens, Altenew Inks, and Distress Markers as well but I'll have to do that another day. For my artistic (impressionistic) flowers, I used a couple of the leaf stamps from WPLUS9's Pretty Peonies Stamp Set. I think you could also use leaves or layers from other stamp sets such as Altenew Painted Flowers or Altenew Watercolor Wonders, but I found that I like the elongated leaves of the set I used for this. I had to stamp several more times than Marika did, but I'm okay with that. I also don't have a Copic Multi Liner like Marika used, so I just used the fine point ends from other markers. On the first card, I used Nuvo Crystal Drops in Glossy Black and for the 2nd card I used three different colors of purple sequins. My third card once again uses the Black Tombow Marker and the Glossy Black Nuvo Crystal Drops. If you don't have a black Tombow Marker, you could use black ink or a coupe of shades of black and grey inks. I had a lot of fun playing with this technique and I have a few other colors and stamps I'd like to try it with as well. Each of these front panels has been cut with the largest Simon Says Stamp Stitched Rectangles Die before mounting on to a card base. By inking the sentiment multiple times (using a MISTI) with the ink color I wanted to use and then pouring clear embossing powder over the top, I was able to heat emboss to get a bolder look for my greeting. I hope I've inspired you to look through your stamp sets and see what shapes you have that can create the look of a flower or branch. If you don't have markers, just stamp in a variety of color using ink pads. Also, you can check out Marika's class called "Beautiful Details" at Altenew Academy. At $8.95 for the class, I think it is a whole lot of bang for your buck! Thank you so much for stopping by today to spend a bit of time with me. I love reading your kind and encouraging comments, so don't hesitate if you'd like to leave one. This month on the Papertrey Ink Blog Hop, Nichole gave us this beautiful image as inspiration for our projects. I love the bright punch of colors after working with mostly darker jewel tones in the last few months while I made all of my Christmas Cards. However, it was actually the medallions that inspired my project to begin with and then it snowballed from there. *Ü* I had my own little wrapping party for a few small gifts, making my own gift bags from Scrapbook Paper and Wrapping Paper. I've actually been meaning to make these Paper Medallions for a while but the inspiration image was just what I needed to kick start my project. To make my medallions, I started with two strips of the gold foiled paper 11 x 1.5 inches wide and then scored them at the half inch marks all along the length and repeated that to get a nice sharp crease. I used my stainless steel stylus/rub on tool for making these particular creases using this particular paper. The foiled paper is from the Hobby Lobby Be Bold, Be Bright Paper pack. It's not cardstock, but it's heavier than most patterned paper. I still have tons of this paper left from the initial pad of 84 sheets and most of the time I'm only using a quarter of a sheet for a card. The stylus came several years ago with a set of rub on's from American Crafts. It makes the scoring lines really nice and folding the accordion strips easy to do. It's probably the only time I prefer it over a teflon bone folder. Once you have your strips creased and folded you can glue the ends together making a loop. If you aren't sure what I mean, you can see a video tutorial from Betsy Veldman here. I don't think I could possibly explain it in a way that makes it understandable so just watch the video. It's only about 4 minutes long, so a short one for sure. My strips of paper are longer than the ones Betsy used, but the concept is the same. It just depends on how full you want your medallions to be and I don't have the Snowflake Medallion Die. You can also use border punches to make your edges lacy looking. Since I wanted the What The Doodle Snowflake to be the focus of my medallions, I didn't use a border punch. The inspiration image uses stars but the snowflake is symmetrical and works well for this. The nice thing about this technique is that any paper works - even inexpensive copy paper works to make the pleated part of the medallions. I used a hot glue gun to assemble the medallions and even to put the gold cord on the back to hang them with. They can be used for a decoration and/or they can be recycled as well for other packages or another year. You could even put the hanger over the top of a bottle of wine or sparkling juice as a decoration. I also assembled my own gift bags using Scrapbook Paper and Wrapping Paper, but you could even use the comics out of the Sunday Paper. It's nice to be able to make custom sized gift bags or glassine bags using supplies I already have on hand. There's a ton of videos on YouTube for how to do this as well although most stamp companies have glassines available for purchase. The glassine bag pictured here is made from some fancy vellum that I have but most people use plain old waxed paper from the dollar store. Since I don't scrapbook anymore, it's nice that I can use some of my supplies in this way although I need to remember to use this vellum on cards too. If you'd like to try making your own gift bags or glassine bags, I'd recommend that you experiment with a bit of scrap paper first to find out how it creases and folds when you have multiple layers of paper. 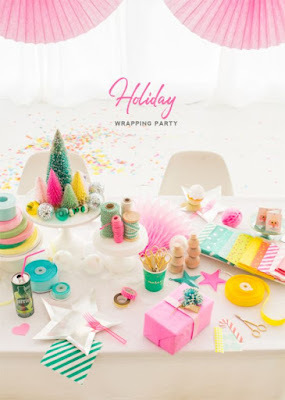 Scrapbook paper is pretty heavy to make most gift bags, but wrapping paper is typically too lightweight to work well. I had a couple of rolls of heavy wrapping paper and that worked the best for Gift Bags. I used a combination of ribbon and gold elastic cord to make the hangers for these and I preferred the elastic cord. I picked it up at Hobby Lobby for a dollar or two and I used hot glue to hold it on the backside between a pleat. You could use these on any kind of gift bag, gift card or even a regular gift that has been wrapped. They were super easy and fun to make. Thank you so much for stopping by to see my project today. Be sure to stop over at Papertrey Ink Blog to see all the entries that are being added to the link up. Much of the fun of this monthly event is seeing how each person interprets the inspiration image. This week on the Simon Says Stamp Wednesday Challenge, the theme is "Gift It". We were gone out of town until yesterday afternoon so I need to finish up this post today as there will be a new challenge tomorrow! 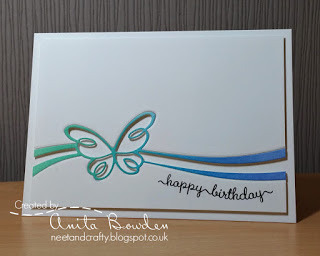 Last week at Jennifer McGuire Ink, she made a "Color Me" Card Kit and I loved the idea so I wanted create one of my own. You could use this as a Get Well Soon basket with tissue, throat lozenges, etc. but mine is just for my daughter who loves to color. She has nice Prismacolor Pencils and really enjoys coloring so I'm going to tuck this set of note cards into her stocking when we travel to their house later this week. I started my kit by stamping the Ranunculus and Dahlia Bouquet Stamps from WPLUS9 Design Studios onto Stamper's Select White Cardstock using Versafine Onyx Black Ink and Simon Says Stamp Clear Embossing Powder over the top. I used the Lia Griffith's "Hello" Stamp Set from Hero Arts for the greetings, also stamped in Versafine with Clear Embossing Powder. I cut each of those panels with the Simon Says Stamp Stitched Rectangles Die in the largest size. Next I made eight Noted: Scalloped A2 Vertical Card Bases from True Black Cardstock and attached the black and white panels to them and put 8 white envelopes with them. This way the recipient can use the coloring medium of their choice which might be markers, crayons or colored pencils. My daughter has Prismacolor Pencils and I know she will enjoy adding a personal touch to these cards. For my example card, I used Copic Markers but you could use Zigs, Polychromos or any type of coloring medium that you already have. Since my card bases are black, I also put a white stitched rectangle panel on the insides. Each card is only waiting to be colored and then it can be mailed. If you like the black and white sketch look, you could even send them as is. I hope you enjoyed this project! Thanks for stopping by and taking a look at my blog post for today. It's a short week for me this week and I definitely need to get a move on as I've got lots of other challenges that I hope to participate in before we head out again for some more Christmas Festivities. 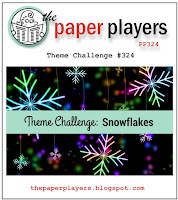 It's time once again for the Papertrey Ink Create Along With Us Challenge. There were so many great projects from the Design Team as always but this week, I wanted to use Laurie Willison's "Feel Better" ensemble as my inspiration. I sat down this morning, and put together a few "wine" bottle tags of my own. The holidays are in full swing and it's nice to have something ready to go for a host or hostess that invites you along to dinner or to a holiday party. New Year's is coming right along as well and I only have one New Year's Sentiment in all of my stamping supplies, but this is a nice one to use this time of year. About a month ago, I had ordered some of the Papertrey Ink Tag Stock which is 160# to use with my Wine Bottle Tag Die. This is some heavy duty stuff. In fact, I made two other tags that aren't shown here and have already put them on a couple of bottles of Christmas "Cheer" (think Eggnog) that we'll be giving this coming weekend at one of our Christmas gatherings. I was surprised at how well the Tag Stock takes ink. It was just as easy as when I use watercolor paper. I made a total of 5 tags in all using Lovely Lady, Plum Pudding and Hawaiian Shores Inks for the ink blending. Each tag was misted with Iridescent Gold Shimmer Spritz after the ink blending and allowed to dry (or hurried along with a heat tool) before I could do my stamping. I grabbed my Mini Misti for these, just to get the alignment correct since I was doing multiples. I stamped the sentiment in Versamark and heat embossed it with a gold embossing powder. I really changed up how stamped them this time by changing up the colors for each part as I went along rather than stamping all of the first layer in one color, all of the 2nd layer in the next color, etc. It wasn't any more difficult and didn't really take any longer for me to do it that way. A few seconds perhaps. I added pearls or little gems to the centers of the flowers. I've been making holiday cards since October, so I've been using lots of deep rich colors and it was nice to get out some other colors and play with them the last 2 days. I also think it is great any time I can use a product in a less conventional way. 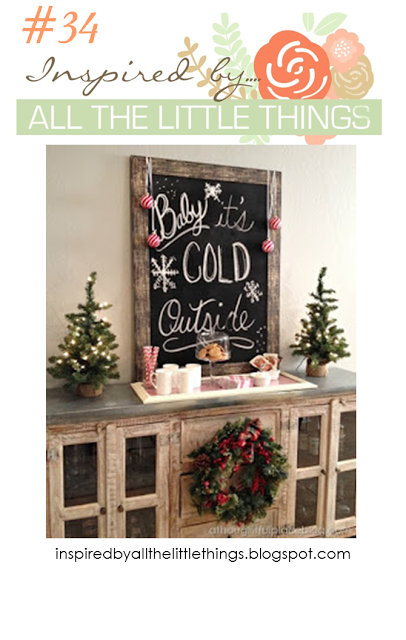 One of the things I like most about a blog hop is going along and seeing other people's ideas as well. Thank you so much for stopping by my blog and checking out my project. 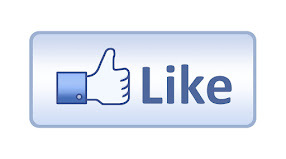 You can follow the link back to the challenge and see all the great projects. Your kind and encouraging comments always really make my day and I thank you for that. Today's project is for the Simon Says Stamp Wednesday Challenge, the Simon Says Stamp Flickr Challenge #60, and the Muse Challenge #195. The theme at Simon Says Stamp this week is Ice Inspiration and Muse provided us with this lovely card to inspire our projects. For my card I started with a 4.25 x 5.5 inch panel of Canson Bristol Watercolor Paper. I love to use this for most of my card front panels because of how well it works for so many techniques such as the one I used here, Ink Blending. The blend is far superior to anything I could do on cardstock, no matter how high the quality is. The Bristol Paper is smoother and takes color very well in addition to being able to stand up to the shimmer mist. I started by using the Simon Says Stamp Snowflake Border Die to impress or emboss the design into my card stock. You can do this by using an Embossing Sandwich in your die cutting machine. It will emboss rather than cut. I also die cut three of the borders from Stamper's Select White Cardstock so that I could I put those together, stacking one on top of the other using a bit of spray adhesive between each layer. I keep a shallow box in my studio for just this purpose so I don't spray adhesive all over. This makes for a nice thick embellishment. Once I had that done, I gave it another coat of spray adhesive and sprinkled Nuvo Pure Sheen Glitter in the color Diamond all over it and set it aside to dry while I continued on my project. Taking my embossed front panel, I did ink blending using Cracked Pistachio and Mermaid Lagoon Distress Inks all along the embossed area, letting it blend out very softly. Next, I die cut the panel with the largest Avery Elle Postage Stamp Die which gave it the decorative edge, but I kept the paper in the die while I took it to my desk and adhered the center panel to the frame using a bit of Micro-pore tape. 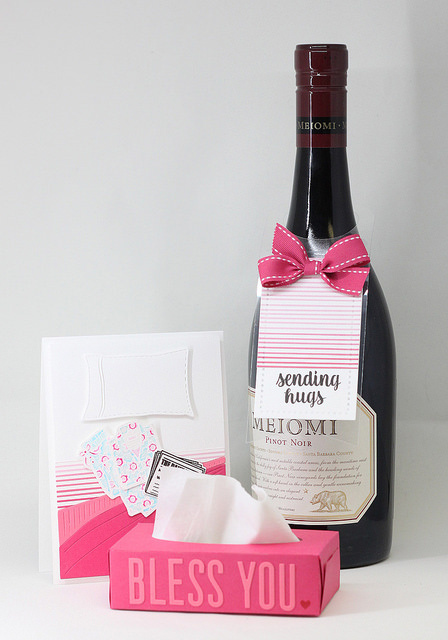 You can use Washi Tape, Scotch Tape or whatever. Micro-pore is what I had handy. I just wanted to keep the center rectangle with the frame for this card. Next I used the Simon Says Stamp Snowflake Border Die on an extra rectangle to cut the top wavy piece so that I could pop it up on foam tape for added dimension. I'm going to have to think of a better way to explain this. I guess I should have taken some pictures along the way. It's just an extra interior rectangle piece from another project and I used it for the underneath piece so that I could pop up the top layer that had the ink blending on it. Clear as mud I'm guessing. I'm planning to use this technique again soon on another project and I will try to take pictures along the way so you can see what I mean. I wasn't sure it would work while I was making this card, but in real life, it is just gorgeous. You may be able to see it better in this image. Once I had that done, I heat embossed my sentiment from the Sparkle & Shine: Holiday Additions Mini Stamp Set with Ranger Gold Tinsel Embossing Powder and assembled the card onto a top folding card base made from Simon Says Stamp Audrey Blue Cardstock. This is one of my absolute favorite colors. The front of the card got all all over spritzing with Tsukineko Sheer Shimmer Spritz and then I was able to set the glittered die cut snowflakes right into the impression that I had previously made using the embossing sandwich. If I would have kept it one layer, it would have fit down inside and been flush but it pops up because I had the extra layers for thickness. I finished it off with a few turquoise sequins! Thank you for stopping by to see my project today and especially if you take time to comment on my post. I have a very busy few weeks ahead with the holidays and family, but it's my goal to still have at least 3 new posts per week until I leave for CHA in January. It's just a month away now and I am getting super excited. The Copic shading around the snowflake adds so much dimension but I couldn't help but add one of the snowflakes embossed in Ranger Gold Tinsel Embossing Powder. I hope you like this change as much as I do. This week over at the Papertrey Ink Make it Monday #269, Betsy Veldman showed us a technique for embossed and outlined images. This reminds me of a watercolor class I took last year where we added the most depth around the outside of the images. The effect is identical, making your images pop off the page. This effect is achieved by using a Copic Marker around the outside of heat embossed images, then a bit of ink blending on top of that in a coordinating color. I used all the same colors and products as Betsy did; What The Doodle Snowflake, Copic Marker in BG13, Hero Arts White Embossing Powder, Hawaiian Shores Cardstock, Tropical Teal Ink with a Mini Ink Blending Tool. I finished it off with a few Sparkling Clear Sequins from Pretty Pink Posh. The die is from the Sparkle & Shine Words Dies and was one of the first things I purchased from Papertrey Ink. I also used the new Noted: Scalloped A2 Vertical Die to cut my card base. This die is so fantastic and is achieved in 2 passes through your die cutting machine. I experimented with a few other colors as well and did one in Winter Wisteria Cardstock using a C3 Copic Marker which is a cool grey. Neutral Grey tones work well for adding depth of color to any kind of images if you don't have a good match in a more specific color. I happen to like cool greys vs. warm ones. There are some great examples using other kinds of stamps at the Papertrey Link-up so be sure to check it out. 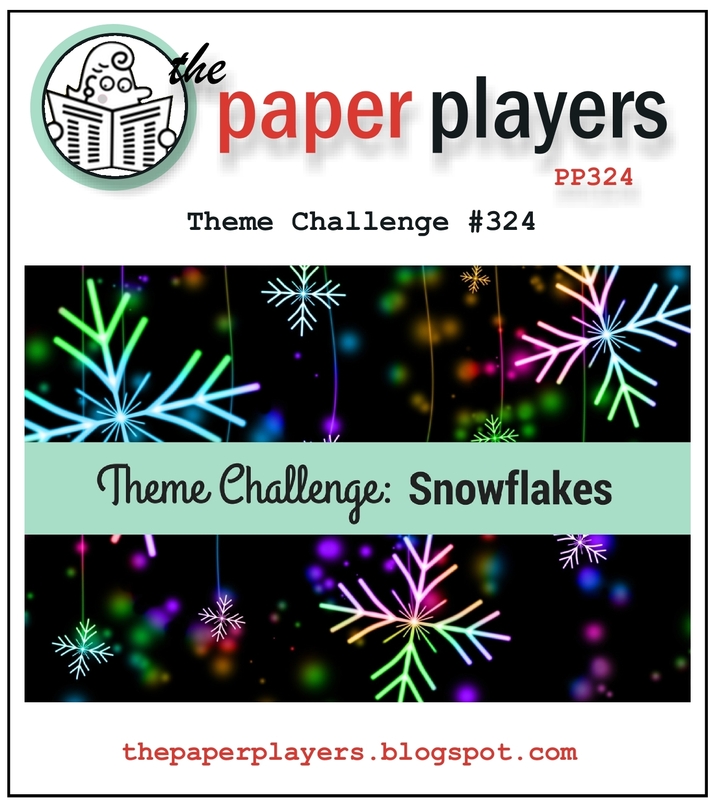 I'm also linking this up at The Paper Players Challenge #324. I hope you enjoyed this quick and easy card and give it a try yourself. Be sure to follow the link above to see Betsy's Tutorial. Thank you so much for stopping by today! I have a card today for the AAA Card Challenge #79 with a theme of Christmas. For those of you who may not know it, CAS means Clean & Simple. All of the AAA Card Challenges are for CAS cards. I'll also be linking this up over at the Simon Says Stamp Wednesday Challenge with their theme of "Anything Goes". Yesterday I was finishing up the last of my Christmas Cards (I think), I still had quite a pile of "parts & pieces" left so I pulled a few things from the pile and made a couple more cards. This particular card is for the pastor and his family who live across the street from us. I had previously done a bit of soft ink blending on the tags from the WPLUS9 Love Showers Die Set. Those were cut out of Canson 140# Watercolor Paper which takes ink blending very well. The sentiment is from Papertrey Ink's A Thrill of Hope Stamp Set and was stamped with Versamark and heat embossed with Ranger Gold Tinsel Embossing Powder. After that the tag was spritzed with Tsukineko Sheer Sparkle Shimmer Spritz. For the mat, I did a lot of gold splatter using Sargent Art Gold Watercolor on Scarlet Jewel Cardstock and set it aside to dry while I figured out the rest of my design. This design is so clean and simple that it really needed a touch of something. Going back to my pile of parts and pieces, I grabbed some of the Spellbinders Jolly Holly leaves, (which had also been cut out from splattered paper) and added them to my card. A few Satin Red Sequins made up the berries on the holly. I die cut the mat using the largest Simon Says Stamp Stitched Rectangle Die and assembled the card using ATG with Ranger Multi Medium Matte for the sequins and holly. I really like how this turned out. Although you can't see the ink blending very well in this photo, it looks beautiful in real life. I wanted the card to be about the sentiment more than the decor. It is the reason for the season after all. This was quick and simple to do but still makes an impact. Thank you so much for stopping by today. I have lots of projects on my desk right now so I hope you'll stop by again soon. I have a new project 3 - 5 times each week. I have been enjoying playing in the Simon Says Stamp Flickr Challenges since I discovered it earlier this summer. Heidi and the crew at Simon Says Stamp always have a gift certificate for each of the challenges which run bi-weekly. I won one of them a few weeks ago. 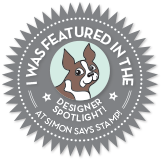 There's also no limit as to how many times I can enter each challenge as long as I am meeting the other qualifications of a new project and using some of the Simon Says Stamp branded Stamps or Dies. So it's kind of a nice change of pace. The theme this week is for Christmas/Holiday and heaven knows I've been doing plenty of those, but I have a few more for friends to do. My family cards have all been done and mailed out, but I still have several friends I want to make one for. Today, I needed to make some cards for the men in a friend's life that she wants to give them for Christmas. For this first group of cards, I used the Simon Says Stamp "Look For the Miracles" Stamp Set. I know it isn't a Christmas set but, after all, Christmas is all about miracles so I think this sentiment works well for this style. I started by splattering some gold metallic watercolor and some white pearl watercolor all over a half sheet length of Night of Navy Cardstock (my last sheet by tapping my brush onto the handle of another one to make the splatter. I do this in a shallow box lid to contain the mess and set it aside to dry overnight usually. The size of your brush determines the size of your spatter. My most commonly used brush is my #8 Silver Black Velvet Brush and my #4 Silver Black Velvet Brush. I also found some metallic watercolor online that I am enjoying very much and I wanted to share my find with you. So last year around this time I invested in a set of Finetec Mica Gold Watercolors. I love them and I have used them several times but no one seems to carry the little refill pans you need once the pans are empty and two of mine are nearly gone. The refills are made, but I haven't found them at all my usual places. This means that I don't use them as often as I want because it is not something that's going to be easy to replace and I am hoping I don't have to buy the full set again. The other day, I ran across some Metallic Gold and Metallic Pearl White Watercolors in 8 ounce bottles. The price point was low (around $8.00), especially for the amount of product you get. You can mix it with a bit of water or use it straight from the bottle. This means I can use all the Gold Spatter I want on my projects, so be forewarned that I am sure it will be in use often around here.... now that I don't have to hoard it anymore. *Ü* The Brand is Sargent Art and I found mine on Amazon. Back to my card. I splattered Gold Watercolor Paint on the navy cardstock, let that dry over night, then splattered it again with the White Watercolor Paint and let that dry all morning. Next I stamped the sentiment from the "Look for the Miracles" Stamp Set in Ranger Gold Tinsel Embossing Powder and heat set it. Next I got several of the Snowflakes from the Papertrey Ink "What the Doodle Snowflake" Stamp set and stamped them randomly around the rest of the background and heat embossed them using the same Gold Tinsel Embossing Powder. I did cut the panel with the largest Simon Says Stamp Stitched Rectangle Die and mounted it to a top folding card base made from Papertrey Ink Classic Kraft cardstock. I made three cards in this style and then I switched it up by creating the same design on a Bazzill Whirlypop panel with Hero Arts White Embossing Powder and only Metallic White Pearl splatter. To stay with the slightly lighter colored theme, I heat embossed the snowflakes in WOW! Metallic Platinum Sparkle Embossing Powder and mounted that to a top folding card base made from Stamper's Select White Cardstock. That is it for today! Thanks so much for stopping by to check out my blog. I really appreciate all of the kind and encouraging comments you leave. I have several other projects finished so I will be back very soon! I've got a card today for the Simon Says Stamp Wednesday Challenge with an "Anything Goes" theme for this week as well as the CAS on Sunday Challenge with a "Christmas" theme. Sometimes, in the everyday business of creating, we forget all of the tools we have at our disposal. I know that my embossing folders sit in a basket on the shelf in my closet (behind closed doors usually) and I tend to forget they are there. I need to remember to bring them out more often as it is a really quick way to add texture and dimension to a project without a lot of fuss or mess. Some of the newer embossing folders are 3D although I still use both kinds. I'm making a few cards for a friend's family and I wanted to make a really special one for her parents' card. I know her mom loves purple and I wanted to use the Spellbinders Poinsettia Dies to make their card. I originally did some ink blending on watercolor paper using Seedless Preserves Distress Ink but when I went to add the angled band across the front, I didn't like it that the papers weren't the same, so I cut another poinsettia in this gorgeous thistle colored shimmering cardstock. This paper is some I got several years at a scrapbook store in Whitesboro, TX. I love this particular shade of purple so I've been hoarding what I have left but it was the perfect paper for the card I was creating today. And while I tried several different colors of card bases, I didn't really like any of them except the white. I needed to add some visual interest to the card base so I reached for my neglected embossing folders. This particular one is the We R Memory Keepers Next Level Gemstone Embossing Folder. I love the different facets or planes this folder creates on my plain white cardstock. These come two to a package with two different designs and are 6 x 6 so that you can run your card bases either direction which is always fantastic for me because I make so many top folding vertical cards. I added shimmer mist to the green cardstock for the leaves so everything would be shimmery. The poinsettia dies cut four layers so you just have to adhere one on top of the other and finish off the center with the embellishment of your choosing. Pearls are always a classic choice for me. To give a little bit of dimension, I cut Thin 3D Foam Squares in half and put that just under the tips of the petals on the largest layer. I used Ranger Multi Medium Matte to adhere the center of the poinsettia to the card base. Additionally, I added one of the Thin 3D Foam Squares under each tip of the leaves and a drop of Multi Medium Matte at the center where I tucked the leaves in under the bloom. Next I cut a piece of Gold Glitter Paper 1.5 inches wide and then another piece of the purple shimmer paper 1.25 inches wide so that just a narrow border of the gold glitter would show on each side of the band. I stamped the sentiment from the Concord & 9th Holy Night Stamp Set. I attached the band to the card on a diagonal using 1/4" ScorTape. This turned out to be one of my favorite Christmas cards I've made this year. The detail of the white card base might not be very visible in this photograph, but it is definitely there when you see it in person. Thanks so much for stopping by today! I'll be back soon with another card. My card today is for the Simon Says Stamp Wednesday Challenge and Inspired By All The Little Things Challenge #34. The theme at Simon's is A Christmas To Die For (using a die) and the Inspired Challenge gave us this picture to use for inspiration. I love the black and white with pops of red and green. For my red and green, I decided to use a Poinsettia. I started my card by cutting a black card base from True Black Cardstock. I also cut a white inside panel so there would be a place to write a message. Next I cut a base layer from Altenew Spicy Yogurt Cardstock at 5 3/8th x 4 1/8th . For the next layers I cut the largest Simon Says Stamp Stitched Rectangle Die (4 x 5.5) from Pure Poppy Cardstock. The music paper was the final scrap I had left and it had already been cut down into a stitched rectangle previously. Next I die cut the bloom of the poinsettia using the Spellbinders Layered Poinsettia Die with Pure Poppy Cardstock and the leaves from some scraps of cardstock. The poinsettia cuts 4 layers of the flowers so they are very easy to put together. Additionally, I cut three of the "Believe" die cuts and one black shadow. I put the three layers together using a little bit of spray adhesive and then used Ranger Multi Medium Matte to adhere the shadow to the back of the die cuts. This Simon Says Stamp Exclusive Believe Die is my favorite from this year's release and I know it will be a favorite for many years to come. That is my card for today! It was super easy to put together and I love how it turned out. Also, there was no stamping, just die cutting so it came together really fast. 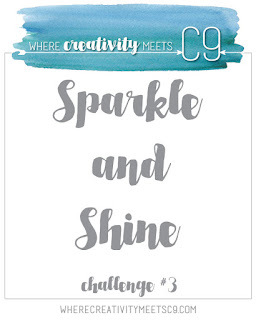 Thank you so much for stopping by and be sure to stop over at both of the challenge blogs to see if you find some inspiration there. I really appreciate the kind and encouraging comments you leave for me. I'm also entering this card into the Simon Say Stamp Flickr Challenge #59. Its time for the Papertrey Ink Monthly Blog Hop for November 2016. As always, Nichole found a great image for us to be inspired by. I had a hard time narrowing my project down to just one. When I was a little girl, my Grandmother Fisk had one of those cool Aluminum Christmas Trees and this picture reminded me of that. It was in her formal living room and we children were for the most part not allowed in there, especially the boys. Now, I know this one is white, but it's still what it reminded me of. 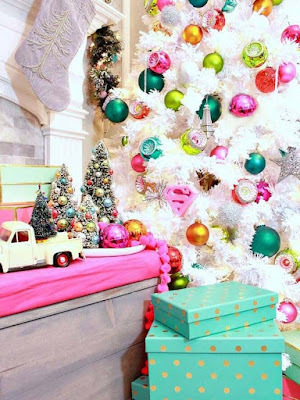 The vintage style ornaments and the gift boxes with foiled polka dots are just like some of the lovely things my grandmother would have had on or under her tree. We were so lucky to have her for so many years. She passed away in July of 2012 at the age of 99. I wish I knew what ever happened to that tree! I think it was long gone years ago, but I sure wish I had it. It would be fun to have in my studio! I had several ideas for this blog hop card but this is the one that came together for me in the way I envisioned it. I was dying to try the new Noted: Scalloped A2 Vertical Card Die. I had asked for a die that could be used vertically way back when the Don't Forget to Write Kit had come out. Before I ever got my kit I realized that the side fold card used with that set is the one I use the least. So during the most recent release earlier this month, several of the ladies on the Papertrey Forum went out there to make sure I had seen Betsy Veldman's Release Week Post with this new card die. It's really genius as you cut in two passes to get the full card but because of the size, it wasn't as expensive as some of the other Noted Dies. It's going to be a fantastic basic for years to come. I started with the color of those gift boxes in the inspiration image, Hawaiian Shores Cardstock. I cut a vertical card base for my project. Next I cut the new Leaf & Sprig Frame Die from Stamper's Select White Cardstock. This cuts 5 frames all at once in various sizes so I wanted two of the 2nd largest to glue together for a little bit sturdier element. I adhered them with Ranger Multi Medium Matte. I saved the rest of the frames for other projects. The largest Leaf & Sprig Frame is full A2 size. Next I did some ink blending on a piece of watercolor paper using Hawaiian Shores Ink and spritzed it with Tsukineko Sparkling Sheer Shimmer Mist. While that was drying I got out the stamp set from Don't Forget to Write so that I could use it to stamp the card sentiment. Another product that was released in November is called the Wrap It Up Collection, seen here. While I couldn't get that yet, I loved the concept so I set about to create a small scale version of that with dies I already had. Using two different Stitched Rectangles, I cut two from the gold foiled paper. This paper was originally Mint and Gold, but I carefully did more ink blending over the top so that it would match the Hawaiian Shores Cardstock better. This paper is much thinner than my Papertrey Cardstock, so I didn't want to accidentally muck it up by going at it too hard with my ink blending tool. This worked out well as it doesn't effect the foiled part but it did deepen the color of the mint stripes. I frequently realign my die cut back into the die to make it whatever I need (shorter or narrower) and that is what I did this time. The original rectangle I cut was twice as tall as this present is, so I just cut in in half by using a bigger die and laying it across the cut line. Next I used another bow die that I already had to cut the bow. It cuts in three pieces and you just have to assemble it. I used some gold shimmer vellum that I have on hand for the bow. Once I had that put together, I went back to my misted background panel, stamped my sentiment on it using Versamark with Antique Gold Embossing Powder and heat set it. After that, I cut it to go behind my frame. If you cut it to 3.5 x 4.75 inches, it is a perfect size to go behind. The frame is about 1/16th inch larger than that on both sides. Finally I was able to assemble all of the pieces to make a card to go with a gift. In my husband's family, all the siblings with their spouses take turns hosting the Finger Family Christmas. It's customary to present your hosts with a small gift of thanks or a bottle of wine. This will be a great card to put with that gift and write a little note of thanks inside. Today's post will be extra long as I have something I like to share this time of year. This is the day that many families start decorating for Christmas. So with that in mind, be sure to read this story. Just last Monday night I had a strange Visitor. This is how it happened. I had just finished the household chores for the night and was preparing to go to bed when I heard a noise in the front of the house. I opened the door of the front room, and to my surprise, it was Santa Claus himself stepping out from behind the Christmas Tree. He placed his fingers over his lips so I wouldn't cry out. "What are you doing here..." I started to ask, but the words choked up in my throat as I saw that he had tears in his eyes. His usual jolly manner was gone - gone was the eager, boisterous soul we all know. As I stood there in my night shirt bewildered, Santa said, "Teach the Children." My perplexed expression still shown in the near darkness. "Teach the Children the old meaning of Christmas - the meanings that Christmas nowadays has forgotten. Teach the Children, the star was a heavenly sign of promise long ages ago. God promised a Savior for the world and a sight of the fulfillment of that promise was the great star of the East. The star now reminds us of God's love for mankind and of God fulfilling His promise. The countless shining stars at night - one for each man - now show the burning hope of all mankind." Santa gently laid a star upon the fireplace mantle and drew forth from his bag a glittering red Christmas ornament. "Teach the Children, red is the first color of Christmas. It was first used by the faithful people to remind them of the blood which was shed for all people by the savior. Christ gave his life and shed his blood that every man might have God's gift to all, eternal life. Red is deep, intense, vivid. It is the greatest color of all. It is the symbol of the gift of God." As Santa was twisting and pulling another object out of his bag, I heard the kitchen clock strike twelve. I wanted to say something, but he went right on. "Teach the Children," he said as the twisting and pulling suddenly dislodged a small Christmas tree from the depths of the toy bag. 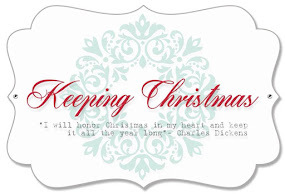 He placed it before the mantle and gently hung the red ornament on the big Christmas tree. The deep green of the fir tree was a perfect background for the ornament. Here was the second color of Christmas. "The pure color of the stately fir tree remains green all year round," he said. "This depicts the everlasting hope of mankind. Green is the youthful, hopeful, abundant color of nature. All the needles point heavenward - symbolic of man's returning thoughts toward heaven. The great, green tree has been man's best friend. It has sheltered him, warmed him, made beauty for him, formed his furniture." Santa's eyes were beginning to twinkle now as he stood there. Suddenly I heard a soft tinkling sound. As it grew louder, it seemed like the sound of long ago. "Teach the Children, that as the lost sheep are found by the sounds of the bell, so should it ring for men to return to the fold; it means guidance and return; it signifies that all are precious in the eyes of the Lord." As the soft sound of the bell faced into the night, Santa drew forth a candle. He placed it on the mantle and the soft glow from its tiny flame cast an eerie glow about the darkened room. Odd shapes in the shadow slowly danced and weaved upon the walls. "Teach the Children," whispered Santa, "that the candle shows man's thanks for the star of long ago. It's small light is the mirror of starlight. At first, candles were placed on the Christmas tree - they were like many glowing stars shining against the dark green. Safety now has removed the candles from the tree and the colored lights have taken over in the remembrance." Santa turned the small Christmas tree lights on and picked up a gift from under the tree. He pointed to the large bow ribbon and said, "A bow is placed on a present to remind us of the spirit of the brotherhood of man. We should remember that the bow is tied as men should be tied - all of us together, with the bonds of good will toward each other. Goodwill forever is the message of the bow." Now I wondered what else Santa had in his bag. Instead of reaching into his bag, he slung it over his shoulder and began to reach up on the Christmas tree. I thought he was hungry as he reached for a candy cane, purposely placed high on the tree. He unfastened it and reached out toward me with it. "Teach the Children that the candy can represents the shepherds crook. The crook on the staff helps bring back the strayed sheep into the fold. The cane represents the helping hand we should show at Christmas time. The candy is the symbol that we are our brother's keeper." Santa then paused. He seemed to realize he should be on his way. Later would be his big day. As he looked about the room, a feeling of satisfaction showed in his face. He read wonderment in my eyes as I am sure he sensed my admiration on this night. He was his old self as he approached the front door. The twinkle in his eye gave Santa away; I knew he wasn't through yet. He reached into his bag and brought forth a large holly wreath. He placed it on the fireplace and said, "Please Teach the Children the wreath symbolizes the eternal nature of love; it never ceases, stops, or ends. It is one continuous round of affection. The wreath does double duty. It is made of many things and in many colors. It reminds us of all of the things of Christmas. Please, Teach the Children." I pondered and wondered and thrilled with delight, as I saw and viewed all those symbols that night. I dozed as I sat in the soft candle light, and my thoughts were of Santa and all he made right. To give and to help and to love and to serve, are the best things in life, all men can deserve. Old Santa Claus himself, that jolly fat elf, is the very best symbol of Christmas itself. He's the sign of the gift of love and of life, the ending of evil, the ceasing of strife. His message to me on the pre-Christmas night, has opened a treasure of deepest insight. The one thing on earth we all ought to do, is the Teaching of Children, the right and the true. Thanks so much for stopping by my blog and if you'd like to leave a kind or encouraging comment, I'd love to read it! I am jumping on here today with a quick post! This week's Simon Says Stamp Monday Challenge theme is Trio-Tastic. You have to do something (anything) in threes. I've been really busy this week and with it being Thanksgiving, I'm really trying to get a few things accomplished. So far, I'm not having too much luck. I've been so into making Christmas cards that I have been longing to create something in some fresh "sunshine-y" colors. I watercolored this beautiful image from the Concord & 9th Hello Lovely Stamp Set in Red and Blue the other day, but I really wanted to create one in these beautiful coral tones. I'm strongly considering changing my favorite color to coral instead of pink. I love this shade that Papertrey calls Berry Sorbet. This entire arrangement has been drawn for you so there is no masking required. Some people really like masking but I'm not one of them. I love heat embossing, but it's very hard to mask and heat emboss. I've had success a few times, but not much because masks are sticky, so the embossing powder wants to stick where the mask was covering your image before. It's a lot of hassle to get an embossed image that is clean so when I find one like this that the entire bouquet has been done for me - well, that's a winner in my book! I don't mind taking time to watercolor, but masking? Forget it! Recently, I've been using a few props in my photos to add some interest but I think I am only going to be doing that for some holidays and special occasions in the future rather than trying to do it all the time. It's getting to be more about the props than about the focus of the blog or the photos and it's taking so much time to get the lighting right etc. that it's leaving me less time to create. Since this isn't a photography blog but rather a paper crafting one, I think I'm going back to basics. In fact, just knowing that and deciding it, makes me a lot happier. This is a really simple card. I stamped the image onto Canson Bristol Watercolor Paper with Versamark and heat embossed it using Simon Says Stamp Antique Gold Embossing Powder. To watercolor it, I used a "trio" of colors - Mowed Lawn Distress Marker, with Light Carmine and Pink Zig Clean Color Real Brush Pens. The random gold splatters you see there are part of the stamp. Once I had all the water coloring done and it was dry, I went over each of the blooms with my Wink of Stella Glitter Pen. The blooms are just luminous in real life. I cut the panel with the largest Simon Says Stamp Stitched Rectangle Die and set it aside while I stamped my sentiment. The sentiment comes from the Sugar Pea Designs Kindness Matters Stamp Set. I cut one of the smaller Simon Says Stamp Stitched Rectangles from the same watercolor paper to stamp it on. Again, I used Versamark with the Simon Antique Gold Embossing Powder. Once that was done, I mounted both to a top folding A2 card base made from Papertrey Ink Berry Sorbet Cardstock. A few Gold Sequins from Pretty Pink Posh finished this Clean & Simple card off. Thanks for stopping by today and if you'd like to leave a comment, I very much appreciate and enjoy reading them. I've been making so many Christmas cards that it's left me longing to watercolor so when I saw that the Simon Says Stamp Flickr Challenge was for coloring, in any method, so I used the new Concord & 9th Stamp Set called Hello, Lovely which means I am also entering this into the Concord & 9th Challenge. This is a big, beautiful floral arrangement that you can color in your choice of mediums. All the arranging is done for you. The first card I made with this stamp I used Spring colors but for the second one, I wanted to do something in more Christmas-y colors. I started with a panel of Canson Bristol Watercolor Paper. After treating it with my powder tool, I stamped it in Versamark and heat set it using Simon Says Stamp Antique Gold Embossing Powder--still my favorite gold! I used a combination of Distress Markers (Festive Berries) and Zig Clean Color Real Brush Markers in Persian Blue, Olive, & Deep Green with a water brush. The entire panel was spritzed with shimmer mist once the watercolor had dried. 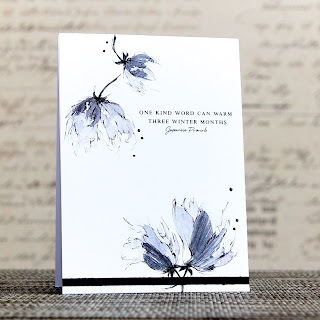 I stamped the sentiment from the Sugar Pea Designs Kindness Matters Stamp Set onto the same watercolor paper and used the same embossing powder. Next I die cut the sentiment and the watercolored panel using dies from the Simon Says Stamp Stitched Rectangle Die Set then assembled my card onto a top folding card base made from Bazzill Whirlypop Cardstock using my ATG gun. This was a super simple card for these challenges. It took a little bit of time to watercolor, but I really enjoy doing that. So that's it for a quick post this morning. I'm hoping to take the rest of the day off! Thank you so much for stopping by today!